What’s it like to play on your hometown NHL ice the first time? For Jason Pominville, it meant standing out in the crowd before the puck dropped. Hailing from Repentigny, Quebec, about a 30-minute drive from the Bell Centre, home to Les Canadiens, Pominville, then a member of the Buffalo Sabres, was understandably excited at the prospect of playing his first game in Montreal. Some of his teammates wanted to make sure it was an evening he’d remember. The plan started in the dressing room and finished with their efforts showcased during pre-game preparations. So did Pominville, who had two assists in Buffalo’s 3-2 OT win. For a young kid looking to find his way at the NHL level, suiting up with the Sabres was ideal, especially considering the number of fellow French-Canadian players on the roster. It wasn’t all about hiding helmets and good-natured ribbing from his new teammates. Pominville felt right at home. “Being French-Canadian, I was fortunate to have Daniel Briere, J.P. Dumont and Martin Biron – who are also French-Canadian – on the team. They took me under their wing. Pominville would play 578 games in Buffalo before he was traded to Minnesota in 2013 at the trade deadline. In 2013-14, he led the Wild in scoring with 30 goals and 30 assists. He now sits one contest away from 900 for his career. The milestone game comes tonight, a home tilt against the Ottawa Senators. 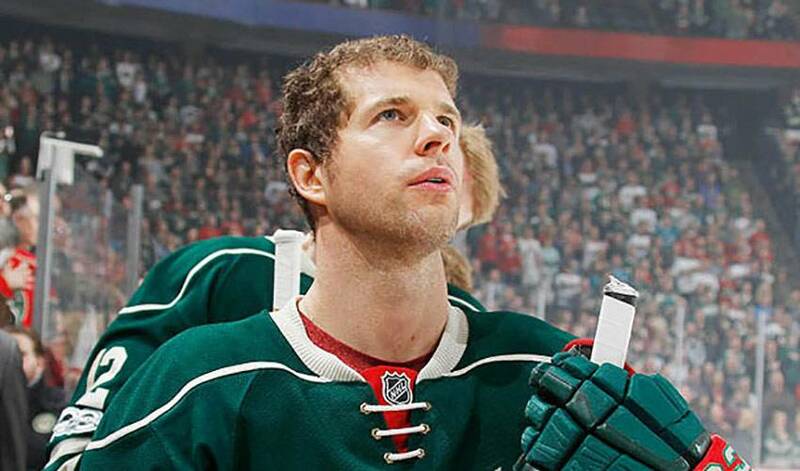 No word yet if any of his Wild teammates have any special plans in place for his 900th game. One thing, however, is a certainty: Pominville will be keeping better tabs on his helmet. The 2018-19 NHL season will be a special one for veteran forward Jason Pominville.